LaVoy - Truth was Treason on 1/26/16! There was no accountability for the assassins who murdered LaVoy Finnucum. The court would not even release their names as his own were prosecuted in those courts that seem as far from America as the east is from the west. What can we say to ease their pain, it will never be enough. We can only take action to honor them. 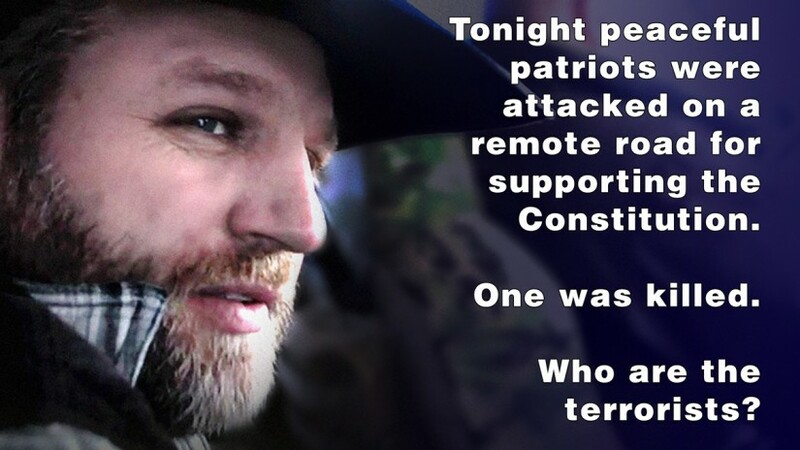 On the evening of January 26 the call came in..
Oregon State police had ambushed the patriots in Oregon. In my soul I felt it coming as I hoped I was wrong. When the call came from the ground we went to work, knowing only a few details but knowing blood had been spoiled and the rest were in danger. I remember us making the first graphic that we shared on the internet to bring attention to what had happened. Within minutes the message was spreading across the globe. LaVoy was gone. Just a few days earlier I had spoken with this man the phone. We talked about the message and how to help America understand what the protests in Oregon were about. It was then we came up with the phrase Liberty Revolution and that was what LaVoy wanted to go with. Like Ammon and his family, I was struck by this man’s gentleness and fire. He was not promoting faction, or parties. It was was no nonsense prpcipled confidence. That message was unstoppable. So they murdered him in cold blood and I watched LaVoy lay down his life for his friends. Frame by frame, over and over again. With LaVoy murdered and the rest in cages my family and I had little input, we felt a bit lost. But went to work to straighten the narrative and refute the blatant lies the goverment was putting out. We made message after message as people on the left said things like, “He had a gun, he lunged, and he wanted to die.” I was realized these were same excuses the right used when “the other side’s” people were killed by goverment in the streets. Had hate divided us so much that police being judge, jury and executioner is acceptable as long as it was our rivals lying in the pool of blood? In the last year I have watched in confusion as many holding his symbol defend the very system of justice that killd him. Anger directed against those who stand against the injustice and it’s enforcers. Against those who refuse to pretend that the system is mostly good. How could a faction of officers that murder on the roadside and their friends who hold America’s finest in cages on false charges, be the good guys? How can the ones who refuse to stand up to them be good guys. How can we be the good guys if we do not oppose that system? We saw the family of a man who served his country and his people go to work with his message in their hands. We saw their tears and cried with them. We saw the hearts that he touched and the people who opened their eyes because of it. Many came to understand that the enemies of freedom are those that attack it, even if they say they protect us. But the progress was slow, like dragging a lead boat through an ocean of cold mud. In the last year I have gone from loved to hated and back a few times. In that time our police killed 1151 more on on own soil. 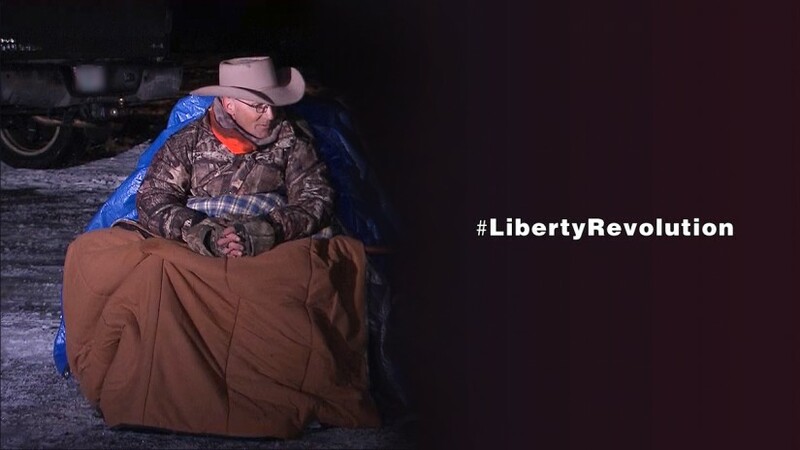 I have laid awake and examined myself and my actions in prayer and study, wishing I could sit and reason with a man like LaVoy to confirm those thoughts. I came to know that many wave a flag, but few know or care what it means. Some days I feel like LaVoy passed go and collected two hundred dollars because we’re still standing stuck in the mud and asking, what are the people to do? Faction and party is not what matters. People are. Opening hearts to truth one at a time. Setting aside frustration and hate; it’s not easy. It’s hard to not be frustrated with those who cannot see what is dividing us. Some have mistakenly turned LaVoy’s death into us versus them. They believe we can win by opposing a mostly allied army, instead of the invading traitors. In America, police block roads, demand our papers and are called heroes. But protestors block a road and we say they should be run over with a truck or put in prison. Our hearts and minds are out of balance when we are consumed by hate and divided by faction. We are a house divided. LaVoy held unity. What was unique about him is that he did not make the fight about his faction. It was a fight for the liberty of all people. That message is powerful and that’s why they killed him. I remember that if this man can give everything knowing it is not in vain, that the stand is worth it. If a man like LaVoy can patiently turn the world upside down with tenderness and love for his neighbor, so can we. We can’t do it with timidity, but we also cannot do it with hate. LaVoy is my veteran. I wished I could have gotten to know this man better. But he taught us that we can have passion and be kind. We can fight and also heal. We can divide from hate while uniting with love. I learned that humble men are the best of us and that those demanding to be honored are destroyers. I have learned that our character matters. That we should always examine ourselves in the mirror of God’s pure liberty. The government and those who serve them hated LaVoy because he was everything they were not. He represented the law and justice that police only say they defend. He represented the truths that politicians refuse to tell. He represented the sacrifice that people who do not love their neighbors do not exhibit. These words are hard. But without challenges we can never grow strong. It’s been a long year. We’ve fought hard and had fewer victories than we would like. But our appeal it to heaven itself and the day of accountability is coming soon. Our resolve must continue. We live in a nation with cages filled with the innocent, while traitors preside over their trials. We must speak the truth in love. We defend justice for all, or not at all. We can never become the lynch mob. We can never become them, denying them abusers the due process they have denied us. But we must see the enemy at the gate and be willing to speak up, stand up and tear down the walls. Finally in all the dispute and anger that comes from a bold stand we must be slow to anger and quick to forgive. 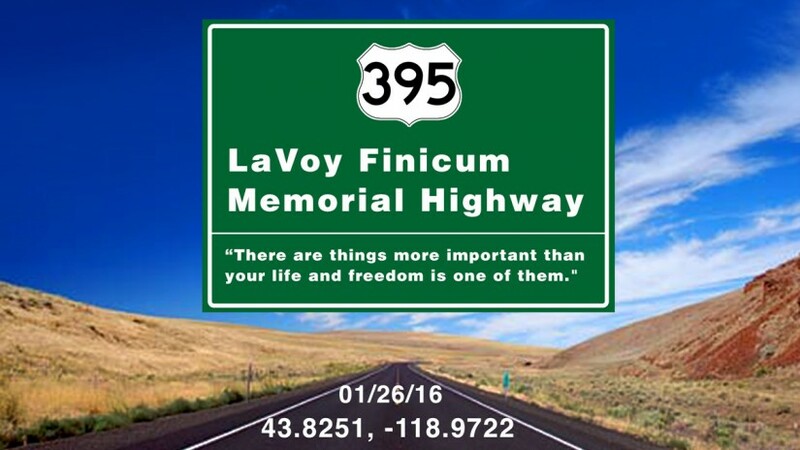 In memory of LaVoy Finicum, 01/26/16. We have not forgotten. Humble men like this make the greatest hero’s. Hey Gavin! Greetings from Salem NJ, an open air penal colony, owned and operated by the blue mafia. You inspire me to do good and fight the good Fight! Please give Gavin all he needs to carry on, Amen Lord.